February 8, 2016 - There's a new Lightfoot song, a co-write, which was released in February 2016, and is worth a listen. It's based on the second part of Cabaret, one of the less well-known gems on Summer Side of Life. Co-written by journalist Eric Greenberg, the locale has been moved from North Ontario to Buffalo, where Eric got to know Gordon many years ago. The recording artists are a Canadian band called Lightfeet (that's FEET). The song is available from Amazon here: Listen to clip or buy, and also at iTunes here. Attention all Gordon Lightfoot, folk-rock fans, and all fans of good music. "Up in Buffalo" a terrific new creation from legendary singer-songwriter Gordon Lightfoot and longtime Lightfoot scribe and songwriter EJ Greenberg is now available on iTunes. "It's a tribute to a friend, a musical icon, and the city of Buffalo where we first met" says Greenberg, who first began writing about Lightfoot for the late, lamented Buffalo Courier-Express morning newspaper while in college. Since then, Greenberg's articles about Lightfoot have appeared in such major newspapers as USA Today, The Buffalo News, New Jersey's News Tribune, The Village Voice and New York Newsday. Of the song "Up in Buffalo:, Lightfoot says: "It's very well done. I think it works," expressing his desire to "get it out" to friends, fans and the public. 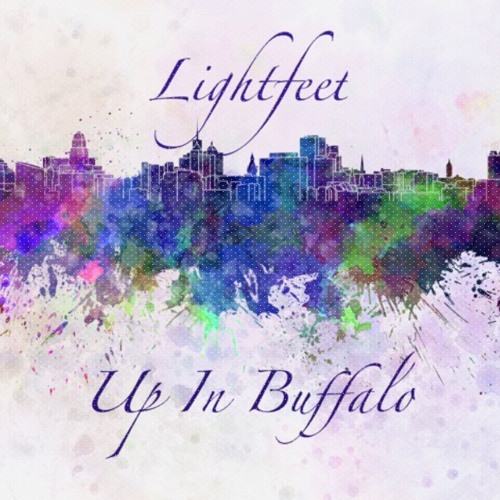 "Up in Buffalo" is performed by Lightfeet, arranged by Mike Gruneir, and produced by star Canadian producer Brian Moncarz. So stop talking in your sleep, grab a second cup of coffee, duck the early morning rain, and slide on over to iTunes and check out "Up in Buffalo." It's a song for a winter's night, and a summertime dream. And it's waiting for you. I received a review copy of this song from Eric Greenberg.